Pete Lee is a pianist, composer & bandleader based in London. Since graduating from The Royal Academy of Music with distinction in 2012, Pete has performed as both a jazz pianist and a pop keys player. He has toured with Alice Zawadzki, playing major UK jazz festivals as well as playing at the UK’s largest arenas and summer festivals with artists such as Il Divo & Maverick Sabre. In 2017 he toured Japan and the UK with artists Gabrielle Aplin and Tom Walker. He acts as musical director of Soul Education (AKA The White Keys), with whom he has played all over the world. 2018 will see the release of Pete’s debut album, “The Velvet Rage”. The album will showcase a collection of his own compositions, which he has arranged for a 10-piece ensemble, including string quintet. Pete successfully raised £5000 to fund the production of his album using a Kickstarter campaign, due for release 29 June. 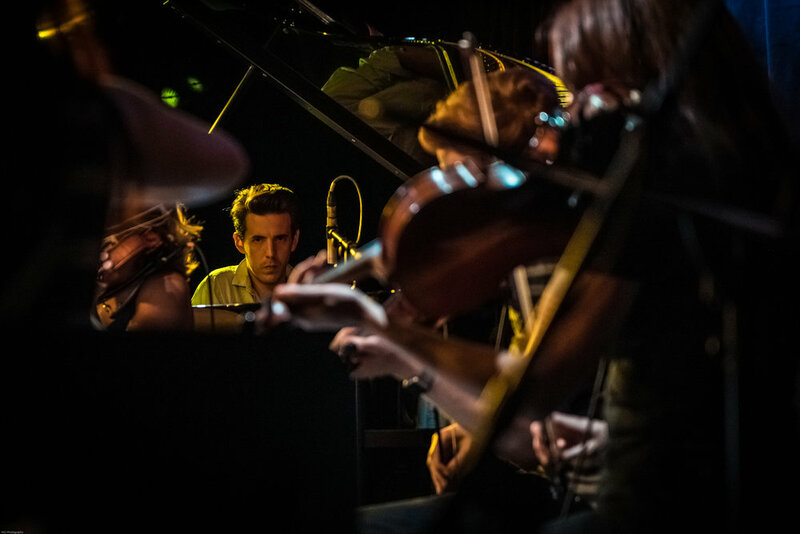 His band play piano-led, groove-infused bangers with catchy riffs and melodies, alongside ethereal, romantic pieces, brought to life by the string quintet’s warm textural palette. A fusion group in the truest sense of the word; a mix of innovative contemporary jazz artists, in-demand pop session musicians and members of the most prestigious classical ensembles. In 2013, they were featured by Young And Serious at the Queen Elizabeth Hall, Southbank Centre, as part of the EFG London Jazz Festival. In July 2017, the full 10 piece band were featured at The Manchester Jazz Festival.